Guante: Bricks and Bones Tour, Rally to Defend Public Education, Halloween, more! Bricks and Bones Tour, Rally to Defend Public Education, Halloween, more! 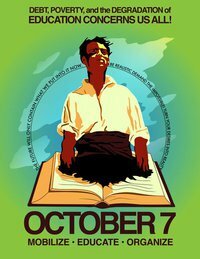 The next show I'm performing at is a rally/concert to defend public education on October 7. 6pm in Loring Park in Minneapolis. The Usual Suspects, Junkyard Empire, Fresh Squeeze and Poetic Assassins are also performing. It'll be a great show, but it'll also be a great opportunity to get involved in this very important struggle. Check out PJAM.ORG for more information! 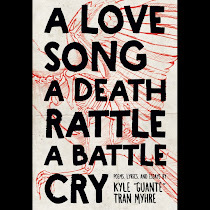 After that, I'll be going on a short midwest tour, the Bricks and Bones Tour. We haven't made the official announcement yet, so look out for that soon. In short, it's a spoken-word tour through Madison, Milwaukee, Chicago, La Crosse and elsewhere, with multiple shows in the Mil and Chi. I'll be on the road with Inky, who runs MN Mic. Again, more info soon. Finally, I'll be finishing up the month with a monster show Halloween eve at Hell's Kitchen. It's the debut of Strange Perspective, a collaboration between See More Perspective and Dameun Strange, two of the most creative, wonderful people I know. 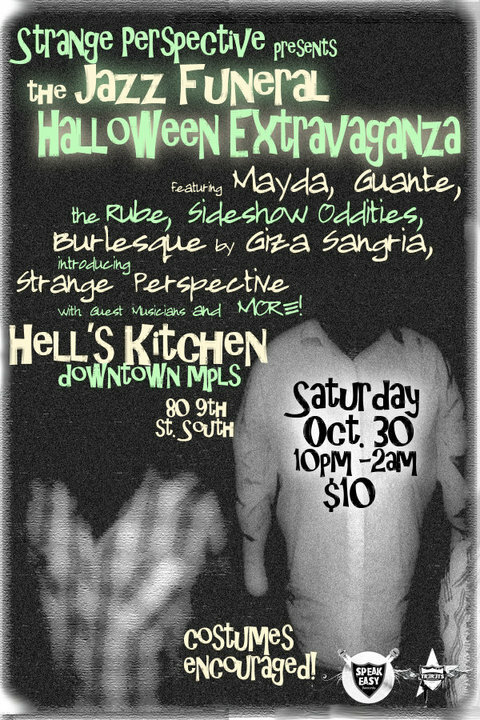 Costume contest, fortune telling, burlesque, sideshow oddities and more, plus sets from me and the always-amazing Mayda. Definitely a can't-miss kind of show.